When Caesar commanded, the truth it was so. Could get at these inns no lodging at all. All in an ox manger she laid him to sleep. For Jesus their Saviour was born on that day. All glory to God and their heavenly King. 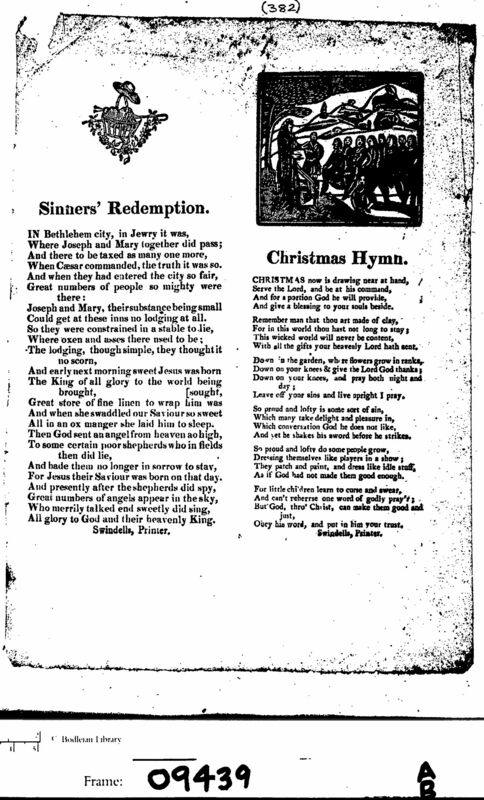 The earliest version is said to have been published in New Carolls for this Merry Time of Christmas (1661), with 13 stanzas of 2-line verses, 11 syllables each.